FAIRFIELD Villa general manager Paul Oakes says his side are playing for pride in the remaining seven games of their season. Villa find themselves in mid-table obscurity this season, occupying eighth position in the Midland League Division Two table, their lowest position in Oakes’ tenure at the club. Following their 6-0 mauling at Alvis Sporting Club a fortnight ago, Villa were looking to return to winning ways away at relegation-threatened Feckenham on Saturday but despite finding themselves a goal ahead on two occasions, Oakes’ side couldn’t hold out as a last gasp strike secured a 5-4 victory for the hosts. Oakes said: “It was an awful day for us on Saturday as should have won the game. “It’s really hard to take as a club because we are used to being at the top end of the table and being in cup finals. Villa’s next game sees them make the journey to a Sutton United outfit that have lost their last eight games in all competitions – six in the league – and will be boosted by the returns of Oliver Booth, Earl Jordan, Mike Seeley, Daniel Wilkes, Scott Smith and Daniel Wallace for the trip. The last time the two sides met came back in August on the opening day of the season where United romped to a 4-0 victory but this time around, Oakes hopes his side can put on a better performance. “It’s down to the players to show their character and desire,” he added. “We’re four points off the top half but I just don’t know what to expect anymore, that’s how poor we have been in recent weeks. “However, I’m really looking forward to going down to Sutton this weekend as we always have some close games. “I’ll be hoping the players react from our last two disappointing results so we can get the three points and taste victory again. 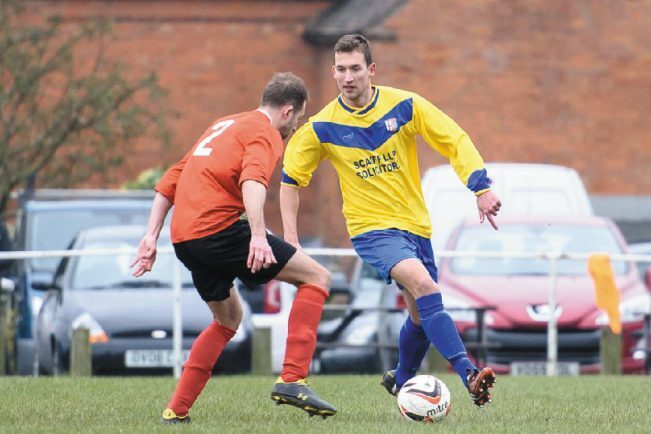 “We should have been clever enough to hold out for the win at Feckenham so I’m hoping that can be put right this time around.